After long time of 5 months I went for another certification and this one is a new one, didn't get allot of information about the experience of the this new salesforce certification, now I have 8 salesforce certs, I must say this one is made me nervous, but felt great when I cleared this one. Address and geolocation compound fields are convenient and result in more concise, clear code. Here are some things to consider when using them in your apps. Both address and geolocation compound fields have the following limitations. Compound fields are read-only. To update field values, modify the individual field components. Compound fields are accessible only through the SOAP and REST APIs. The compound versions of fields aren’t accessible anywhere in the Salesforce user interface. Use convertCurrency() in a SOQL query to convert currency fields to the user’s currency. This action requires that the organization is multicurrency-enabled. If an org has enabled advanced currency management, dated exchange rates are used when converting currency fields on opportunities, opportunity line items, and opportunity history. With advanced currency management, convertCurrencyuses the conversion rate that corresponds to a given field (for example, CloseDate on opportunities). When advanced currency management isn’t enabled, the most recent conversion date entered is used. Use asynchronous callouts to make long-running requests from a Visualforce page to an external Web service and process responses in callback methods. Asynchronous callouts that are made from a Visualforce page don’t count toward theApex limit of 10 synchronous requests that last longer than five seconds. As a result, you can make more long-running callouts and you can integrate your Visualforce pages with complex back-end assets. An asynchronous callout is a callout that is made from a Visualforce page for which the response is returned through a callback method. An asynchronous callout is also referred to as a continuation. All requests are delimited by the trigger, class method, Web Service, Visualforce page or anonymous block that executes the Apex code. If the entire request completes successfully, all changes are committed to the database. For example, suppose a Visualforce page called an Apex controller, which in turn called an additional Apex class. Only when all theApex code has finished running and the Visualforce page has finished running, are the changes committed to the database. If the request does not complete successfully, all database changes are rolled back. Sometimes during the processing of records, your business rules require that partial work (already executed DML statements) be “rolled back” so that the processing can continue in another direction. Apex gives you the ability to generate a savepoint, that is, a point in the request that specifies the state of the database at that time. Any DML statement that occurs after the savepoint can be discarded, and the database can be restored to the same condition it was in at the time you generated the savepoint. Apex offers two ways to perform DML operations: using DML statements or Database class methods. This provides flexibility in how you perform data operations. DML statements are more straightforward to use and result in exceptions that you can handle in your code. Test setup methods are defined in a test class, take no arguments, and return no value. The following is the syntax of a test setup method. Use test setup methods (methods that are annotated with @testSetup) to create test records once and then access them in any test method in the test class. Test setup methods are useful and can be time-saving when you need to create a common set of records that all test methods operate on or prerequisite data. Use the InvocableMethod annotation to identify methods that can be run as invocable actions. Invocable methods are called with the REST API and used to invoke a single Apex method. Invocable methods have dynamic input and output values and support describe calls. The following code sample shows an invocable method with primitive data types. If you cover all these topics, then for sure you can clear this exam. I am preparing for PD2 transition which I have to give before 6th. Could you please help me more topics and material.Could you please guide me more? Do you have sample questions? Or dumps? DIAC is offering Salesforce.com Training with on admin, developer, salesforce lightening, crm. Call @ +919310096831 for details on course fees, syllabus, placement facilities, batch timings, course duration. 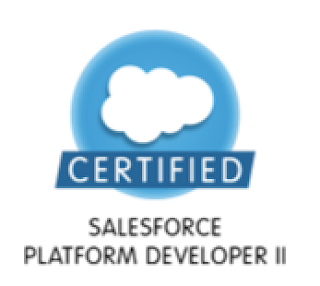 I just cleared the PD2 and Service Cloud exam. Please mail me at salesforcecertguide2018[at]gmail.com for latest exact questions and guidance or any help required for the examinations.